In our first show we tackled issues brought up by this article in the Houston Press. Satirizing the callousness with which our community dealt with some of the most vulnerable members of our society we sought some relief from all the disappointment. Starting off slow, Fire In My Backyard presents sympathetic characters with humanity and weaknesses. First cast on opening night May 10th, 2017! Turning rejection of Unity of Time into a stylistic choice, Aristotle spins in his grave as we look at a variety of scenes spanning days, months, even decades. Sometimes in life reality isn’t what it looks like. In Tomato Surprise Blue Shift sets up expectations then turns them on their head to reveal that the only constant is that Truth is unknowable. Written by Kelly Juneau, Conor Farrell, Riley Smith, Krishna Surasi, John Doan, Cassie Randall, Steven Saltsman, Aaron Garrett, and Chuck Stanfield. Performed by Rachel Spectre, Lindsey Jackson, Brian Metz, John Doan, and Dustin Ryan Stephens. Blue Shift challenges itself to revisit some older sketches that showed promise but didn’t quite fit in the show the first time around. A witch blows into town to tell some moralistic tales sure to terrify you. 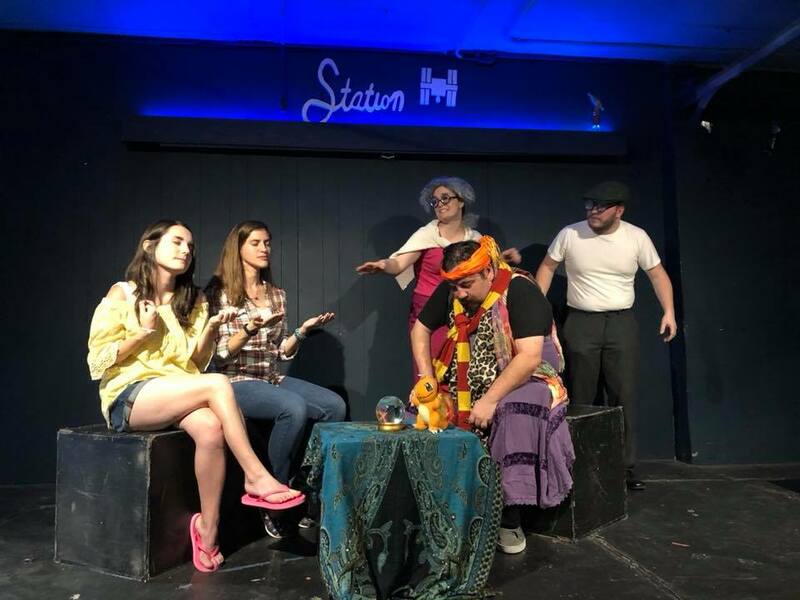 The Madame (David Toscano) is plagued by annoying spirits (Cassie Randall and Dustin Blanton,) and dumb patrons (Tamara Wharton and Sarah Willet,) in the final scene from The Lioness, The Witch, and the Lumpy Milk.